The New Orleans Saints are now just slightly over 2 weeks away from the "official" start of their 2017 Training Camp, when the team's veteran players report to the Practice Facility in Metairie (suburban New Orleans) on the morning of Wednesday, July 26th. New Orleans of course will be looking to erase a 3-consecutive year losing streak and absence from the NFL Playoffs, a stigma which they've been stuck with since their last winning season (11-5) and Playoff appearance in 2013. There is a great deal of anticipation as the Saints head into Training Camp this year, among the organization, their fans, and observers and analysts that cover the team; in what many are referring to as a "make or break" season for the Sean Payton-Drew Brees Era in New Orleans. It's with that in mind, that this morning we're taking a look at the 5 biggest questions facing the New Orleans Saints franchise at the moment, as they began preparing in earnest for the upcoming 2017 NFL season. #5. SERIOUSLY --- ARE THE SAINTS THE WORST TEAM IN THE NFC SOUTH??? Many of the early Pre-Season predictions from several writers that cover the NFL for a handful of prominent National Media publications and websites are picking the Saints to finish last in the NFC South this year; which is something that might be a little premature, to say the least. However, based on the way that the Saints have performed within the division in the past 3 seasons, it's not hard to understand why. Add to that of course, that the the last two NFC Champions playing in the Super Bowl were NFC South teams (Carolina in 2015, and the hated arch-rival Atlanta Falcons last year), and the NFL's last two League Most Valuable Players -- Panthers QB Cam Newton and Falcons QB Matt Ryan -- were the QB's of those respective NFC Champion / Super Bowl participant teams. The Falcons essentially return the same team this year, so there's no reason to expect that they won't be a force to be reckoned with in 2017. Carolina had a "down year" last year after their Super Bowl season in 2015, but they still have Cam Newton, an elite defense (featuring All-Pro linebacker Luke Kuechly), and recently added the dynamic rookie and super-fast dual RB/ WR threat Christian McCaffrey in the draft. And then of course, there's Tampa Bay --- who may be the most improved team within the division; and now the Buccaneers might even have the most dangerous offense as well (which is saying quite a lot) with rising young QB Jameis Winston and the impressive receiving duo of DeSean Jackson and Mike Evans. The bottom line is for a Saints team that needs to improve at least 2-3 more wins to at least just contend for a Wild Card Playoff spot, a NFC South division championship in 2017 is unlikely to be celebrated in New Orleans. But as to the question of whether they're actually THE WORST team or not, that still remains yet to be seen --- at least until the end of the season, anyway. #4. HOW MUCH ARE THE SAINTS ARE GOING TO REALLY MISS NICK FAIRLEY? It would be foolish to assume that the Saints won't miss Fairley, who was lost for the season and perhaps for the rest of his NFL career, with a heart condition. You don't just simply "replace" 6½ sacks and 47 total QB pressures (Fairley's numbers in 2016) as if it were not a big deal. 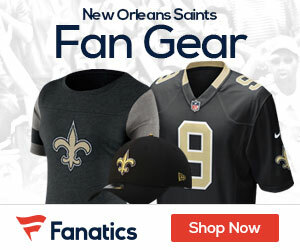 Nevertheless, New Orleans should still be in pretty good shape thanks to the expected development of last year's top draft pick Sheldon Rankins, who after missing the first half of the 2016 season with a leg injury, showed everyone flashes of exactly why the Saints chose him in the first place. Rankins should transition smoothly into the starting role at the 3-technique DT spot vacated by Fairley, although as New Orleans Advocate beat writer Nick Underhill observed recently: he'll need to do a better job of consistently winning his one-on-one match-ups; as indicated by the fact that despite finishing last year with four sacks in nine games, he only had nine other pressures over 231 pass-rushing snaps. Long story short, Underhill says that Rankins will have to show progress this year from last, before the Saints can exhale. In addition to Rankins, the Saints will also have 32-year old veteran and former Seahawks DT Tony McDaniel and last year's 4th Round pick and former Canadian college Defensive MVP David Onyemata in sub packages to give Rankins a breather; and both should provide quality depth to compensate for Fairley's departure. While Fairley gave the Saints an interior presence that it had notably lacked in past seasons, the Saints will simply replace him by utilizing the "next man up" philosophy that they've exercised previously in past situations; and if they're fortunate, they won't miss his production -- although they'll still terribly miss the man himself. #3. HOW WILL THE SAINTS OFFENSE (ESPECIALLY DREW BREES) HANDLE THE LOSS OF TERRON ARMSTEAD AND COMPENSATE FOR THE DEPARTURE OF FORMER RECEIVER BRANDIN COOKS? This is a two-part question obviously, so let's go with a condensed answer for both. Actually, the 'game plan' in both instances is the same: which is the Saints going forward with their previously noted "next man up" philosophy, but likely yielding different results. In the case of replacing starting left tackle Terron Armstead, who is out for a a majority of the season with a torn labrum; the plan as of right now is to go forward with the rookie Ryan Ramczyk, the team's 2nd of two 1st Round picks that they acquired in the trade with the Patriots for former WR Brandin Cooks (more on him in a minute). Essentially, the Saints are going to 'throw Ramczyk to the wolves' and hope that he is able to hold his own; despite the fact that he is still just recovering fully from off-season hip surgery. Starting a rookie left tackle (usually the QB's all-important "blind side") is a big risk however, and the Saints will have to hope that the Ramczyk is up to the task. Not to be forgotten: it appears that journeyman veteran center Josh LeRibeus will continue to fill in for starting center Max Unger throughout Camp and the Pre-Season, until Unger's expected return from off-season foot surgery in time for the season opener at Minnesota. In the case of replacing Brandin Cooks, whom the Saints traded to the Patriots not long before the Draft, the plan is a lot more clearer: which is promoting last year's rookie sensation and #2 WR Michael Thomas into the #1 starting role formerly held by Cooks. Thomas was often able to take advantage of one-on-one coverage last season, so it will be interesting to see if he can match that same production (92 catches, 1,137 yards) now as the primary focal point of opposing defenses. The Saints also still have outstanding #3 WR Willie Snead now ready to move up the depth chart and assume the #2 role; and also went out and signed former Carolina WR Ted Ginn, Jr. who despite his age (32) still possesses the elite speed that will still provide the Saints with the deep-ball / big play element to the Saints offensive attack that Cooks did. All in all, the Saints offense has certainly had to adjust to some change in the off-season; but nothing so horribly upsetting or "earth-shattering" that should prevent Drew Brees and the Saints offense from having yet another stellar, Top 5 ranked season once again in 2017. #2. WILL THE SAINTS DEFENSE SHOW ENOUGH IMPROVEMENT OVERALL TO WIN THE 2-3 MORE EXTRA GAMES NEEDED TO CONTEND FOR A PLAYOFF SPOT? This is the "million dollar question" to be sure. The Saints defense has finished with overall rankings of 31st, 28th, 32nd and 31st in total defense in 4 out of the past 5 years --- a clear-cut and unequivocal #1 reason why they've posted 3 consecutive 7-9 losing seasons and missed the NFL Playoffs for the past 3 seasons. That much is indisputable. To be fair, the unit as a whole has been overwhelmed at times with untimely injuries to a handful of key performers and the Fairley story back in the previous question from up above; is just further "salt in the wound" of a defense that just can't seem to right itself no matter what the organization does to try and fix it. This off-season, team brass went out and addressed a variety of issues although we really won't know until the first few games of the regular season as to whether any of them will have any great effect or impact in making the unit good enough overall to at least get a Top 20-ish ranking, which most observers agree would help the franchise get back "over the hump" for Playoff contention. The Saints secondary will finally return all of their injured players from last season's virtual M*A*S*H* unit that saw them lose a whopping total of eight players throughout the course of 2016; and will be bolstered even further by top draft pick and former Ohio State All-American CB Marshon Lattimore to complement #1 CB Delvin Breaux. They'll also be looking forward with great anticipation to the contribution of sensational rookie free safety Marcus Williams of Utah --- who many observers believe might be one of the true "steals" of the 2017 NFL Draft. If the secondary can be a strength this season instead of a glaring weakness, it should go hand-in-hand with improving the team's other "glaring weakness": the outside pass rush. While the Saints interior pass rush should be okay with the information we provided in the answer above in relation to Fairley, the Saints outside pass rush at the defensive end position opposite of All-Pro Cam Jordan remains a HUGE question mark. The Saints are hoping that young veteran free agent signee and former Arizona Cardinals edge rusher Alex Okafor can make a big impact, and if not will be praying for meaningful contributions from young veteran Obum Gwachum and rookie Trey Hendrickson --- while awaiting to see whether or not 3rd year defensive end Hau'oli Kikaha can make a successful "comeback" from the 3rd ACL tear (to the same left knee) of his playing career. However, the biggest improvement by far this coming season should come from the Saints linebacker corps. Gone are the slow and ineffective players that held this unit back in recent years (James Laurinaitis, Michael Mauti), and in their place this year are players who are faster and considerably more efficient in pass coverage (A.J. Klein, rookie Alex Anzalone). When placed alongside last year's returning top veteran Craig Robertson, this unit should see a huge boost in effectiveness from years past. If veteran Dannell Ellerbe can stay healthy and new LB coach Mike Nolan can revitalize the career of 2015 top pick Stephone Anthony, the overall depth of the linebacker corps could be the key to the defense's overall success this year. The only question that still won't be answered until the end of December will be whether or not it's going to be good enough for the 2 or 3 extra wins needed to contend for a Wild Card Playoff spot in the NFC. #1. DOES ADRIAN PETERSON STILL "GOT IT" --- AND IF SO, CAN HE HELP THE SAINTS GET BACK TO THE NFL PLAYOFFS? Let's just start off the final answer of this article and the #1 question on everyone's mind right now with regard to the Saints as they head into Training Camp this year; by saying that there are many pundits out there in the National Media who are very skeptical about whether or not Peterson is really still capable of playing near the same level that he did previously, as a former 4-time All-Pro in his previous 10 seasons in Minnesota with the Vikings. In fact, the possibility that Peterson might be "washed up" has even been floated out there on several occasions both prior to and after the Saints signed the former 32-year old, who is coming off a torn ACL that he suffered in Week #1 of last season. Now grant it, that narrative -- whether it's true or false -- is being driven in part by Vikings fans themselves, and directly contradicts what the Saints coaching staff and Peterson's new Saints teammates have been saying about Peterson; which is that he appears to be in the best physical condition of his life and is highly-motivated to prove to his doubters that he's still "got it". This much is certain: the Saints aren't likely to use Peterson all that much in the upcoming Pre-Season games, and so we really won't know what Peterson can or can't do until that season-opening showdown in early September at Minnesota against his former Vikings teammates on ESPN Monday Night Football (September 11th). But make no mistake about it: if Peterson is still even half the player that he was when he won the League MVP award a few years ago (2012), then the rest of the NFL is going to find itself in big, big trouble.